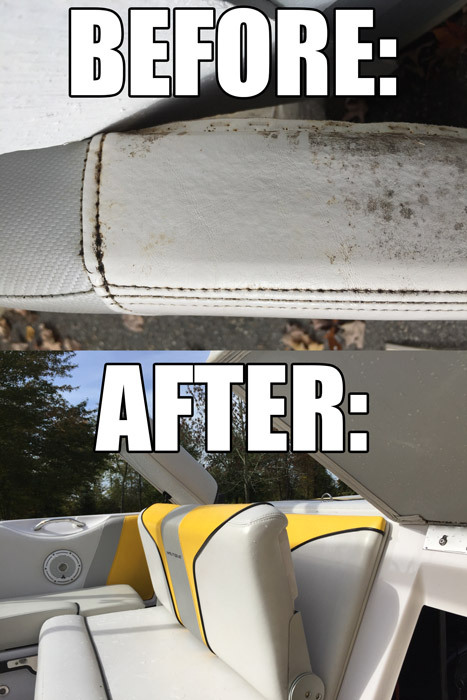 A boat covered in mildew is a huge mil-don’t! Have you heard of our famous Mildew Remover? Well, if you haven’t then you are in for quite a revelation when you get the chance to try our proprietary formula of mildew elimination! This incredible product has been a main-stay in our line of advance marine care products since our company was founded! We knew how prevalent mildew staining and growth was for our fellow mariners, so we wanted to make sure that they had access to the easiest solution possible! And Mildew Remover made sure that that goal was met and exceed by quite a few nautical miles! Our Mildew Remover has proven time and time again, both to us and our loyal customers, that it is the most reliable and consistent product for proper mildew removal. 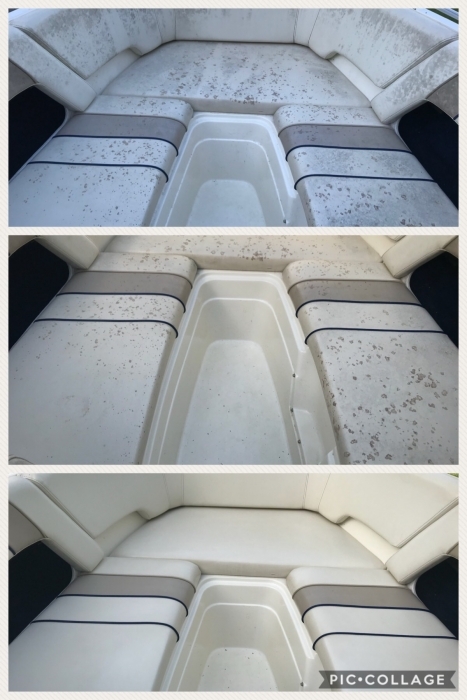 No matter how harsh and hopeless your current mildew situation may seem, Mildew Remover is sure to renew your hopes of flawless and clean looking boat surfaces! We understand that you may think our opinion of our product is a little bit biased, so take a moment and see what people who have used Mildew Remover have to say about its effectiveness! We pulled our boat out of storage last week and all the vinyl was covered in mold and mildew. After 2 hours of scrubbing with a different mold and mildew remover and then trying a magic eraser - I was very upset thinking we would have to have the cushions recovered. The mildew had stained all the cushions and I couldn't get them to come off. I found this product online and figured I would try it before searching for someone to recover our seats. This stuff is MAGIC! I didn't even have to scrub the spots. It took awhile for the stains to disappear - but after about 15 minutes - every single spot was GONE! I will buy this product every year - and I am going to try the mildew guard before we put the boat away at the end of the summer. HIGHLY recommend this product!!" "Best product I have used in 40 years of scrubbing boats! I read the reviews about the Marine 31 Mildew Remover and still was skeptical. We all have been victims of the embellished claims of manufacturers, right? I had already spend 3 Saturdays scrubbing the interior of my not-so-huge boat! The results angered me. My boat is constantly kept covered and is always wet inside from the kids and their skiing. Long story short, it has never looked this good since I have owned it."